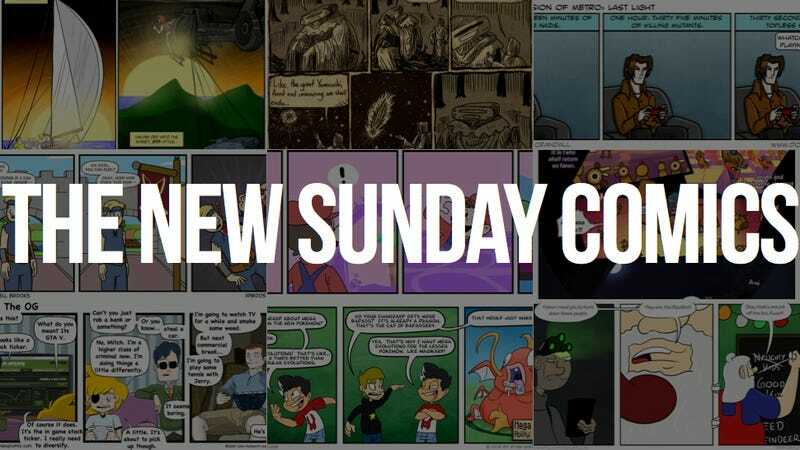 The votes have been counted and your lineup for Sunday Comics is set. All eight of the existing features will return. ActionTrip, which ran from Sunday Comics' debut in 2009 until last year, returns. Life in Aggro is the only totally new strip readers chose. These are the final results. Comics will appear in this order from now on. Remember, publishing depends upon the creators' permission. So I'm reaching out to the two new strips to see if they're cool with it. If someone declines (or doesn't respond), we'll go with the next-highest vote getter, and so on. One note, you guys selected Another Videogame Webcomic, which has not updated since Aug. 31 and also took all of July off. It's your choice and I respect it, but if we don't see something from this strip in a couple of weeks I'm going to swap it for the next-highest vote getter, which is Double XP. Below is a screenshot of the results from our poll dashboard.